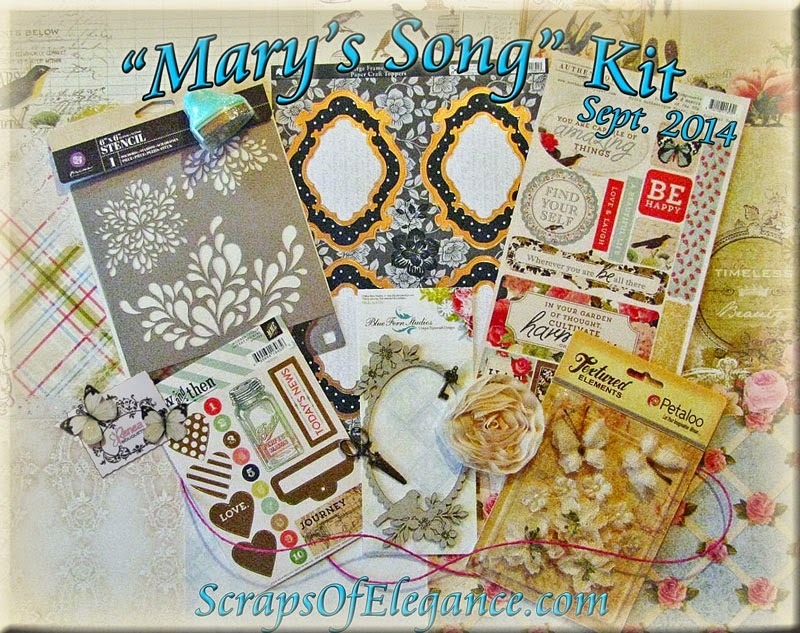 Scraps of Darkness and Scraps of Elegance: Our September SOE kit and Guest Designer! Good morning, my paper craft artist friends! We have a new kit, and a new Guest Designer to announce today! It's filled with oh-so-elegant papers from Blue Fern Studio, heartwarming papers from Authentique, a new Prima stencil, and so much more! I won't include all of the add ons, but I do like to share our Creativity Add On, it's usually my favorite one! We have a FABULOUSLY talented lady guest designing for us with this kit! 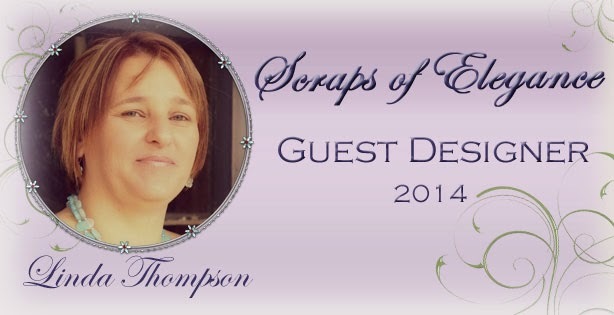 Welcome, Linda Thompson! Hi my name is Linda, I married my soul mate in 1997 and we have 8 children. We live in NSW Australia and I'm a SAHM. I discovered scrapbooking in 2004 and have been addicted ever since that very first class. In the past 10yrs I have had the pleasure to be on a number of design teams. & have been lucky enough to have a supportive partner who helps me explore my creative side. 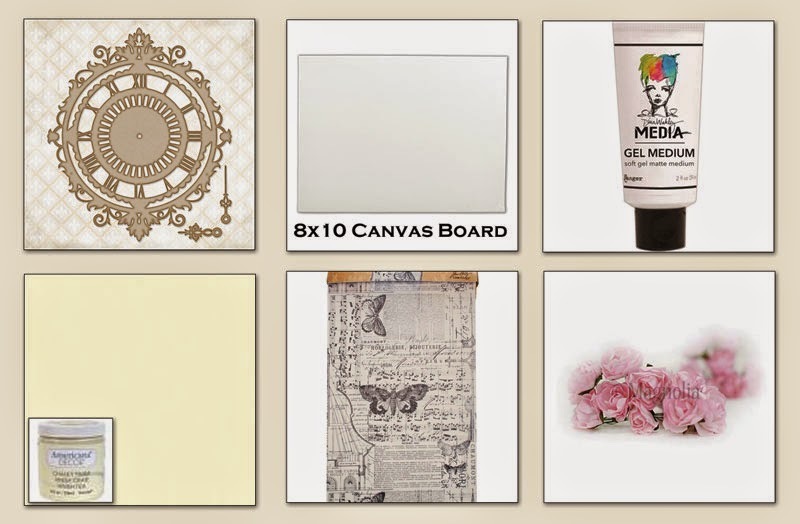 I used to only do scrapbook pages but have recently discovered I really enjoy altered art and OTP items, I would have to say I am addicted to flowers & chipboard, they are the products I have the most of and I use ink or spray mists on just about everything I do. With 7 girls just about all my pages etc are very girly but now with a new grandson I can finally throw some boyish things in there but I do hope he likes flowers. The one thing I find with scrapbooking is that no matter how much you know or how many techniques you learn there is always something new around, so I try and learn something new as often as I can. We can't wait to see what kind of gorgeousness Linda creates! If you'd like to see some of her work until then, please stop by her blog, and while you're there, make sure you sign up to follow her! That's all we have for today, I hope it's a beautiful one, and you manage to find a little time to be creative!